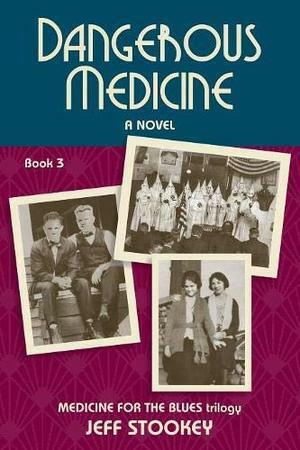 Dangerous Medicine, Book 3 of the trilogy Medicine for the BluesIn a time when homosexuals had to hide their identity, Dr. Carl Holman's standing with the prestigious clinic where he works is strained to the breaking point by pressures from the Ku Klux Klan, societal expectations to marry and have children, and other forces beyond his control. As his compassion compels him to treat unorthodox cases, involving addiction, birth control, and child abuse, he is pushed to make increasingly difficult decisions about his professional and domestic affairs. Can Carl and those he loves find a way to live authentic lives in this hostile world?This is Book 3 of Medicine for the Blues, an LGBT historical novel trilogy. Based on extensive period research, Dangerous Medicine continues the exploration of the gay world of 1920s in Portland, Oregon. Set against the dramatic backdrop of this influential era, this final volume brings to a close the touching gay love story that began in Book 1 Acquaintance.